Arkansas' experiment with Medicaid expansion under ObamaCare is quickly becoming a train wreck for taxpayers. State officials have failed to determine that beneficiaries of the program are still eligible to participate in the government health insurance program, potentially wasting millions of dollars. Knowing how government operates, it is likely that Arkansas is not the only state to fail to do its due diligence. In April 2013, the Republican-controlled Arkansas General Assembly approved Medicaid expansion, but lawmakers took a different approach. Dubbed the "private option," the state received funding from the Obama administration to purchase private health insurance plans for eligible participants. The Arkansas experiment has been nothing short of a disaster. "Costs ran overbudget every single month last year," wrote Josh Archambault, a senior fellow at the Foundation for Government Accountability, earlier this year. "The Medicaid director who spearheaded the program abruptly resigned to 'pursue other opportunities.'" There were political ramifications, he notes, as "voters overwhelmingly dumped pro-Obamacare legislators last election season, including the program’s chief legislative architect." Gov. Asa Hutchinson, a Republican, approved a measure passed by the state legislature that would end Medicaid expansion at the end of 2016 and create a panel to come up with fiscally responsible alternatives. These are certainly positive steps, but Medicaid expansion through ObamaCare continues to be a problem for Arkansas. Fox News reports that the Arkansas Department of Health and Human Services has failed to redetermine that Medicaid enrollees remain eligible for the program as required annually by federal law. The state has received two waivers from the Obama administration to delay redetermination. States can opt-in to ObamaCare's Medicaid expansion, allowing low-income residents who earn below 138 percent of the federal poverty level to obtain coverage. Though the Obama administration has urged states to expand the program, and many have, it is riddled with problems, including a lack of participating healthcare providers due to low reimbursement rates, burdensome red tape, and poor health outcomes. But Arkansas' failure to comply with the law means that taxpayers are likely being hit with unnecessary costs. The legislature's Joint Budget Committee, according to Fox News, has determined that as many as 40,000 enrollees could be removed from the state's Medicaid rolls upon redetermination. The savings could be huge, perhaps as much as $20 million per month. 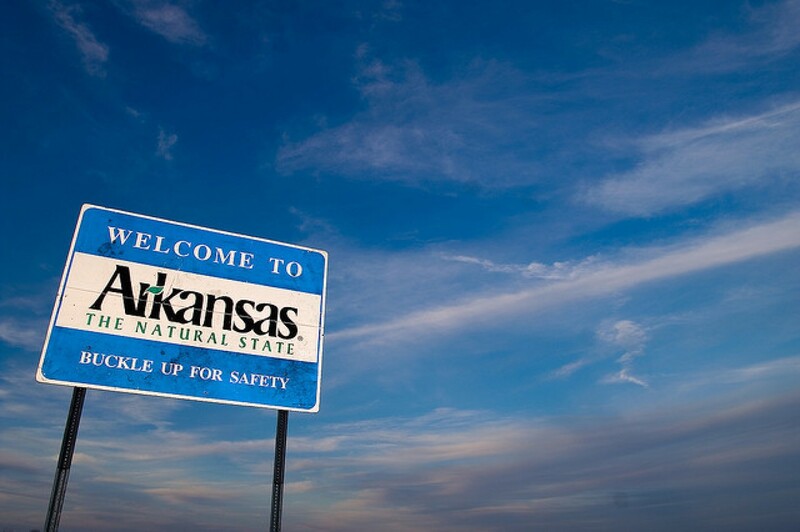 "Without any redetermination of eligibility, it’s possible that just about anyone of any income level could be enrolled in Arkansas’ Medicaid expansion. It’s even possible that millionaires and lottery winners are receiving benefits, as other states have found in their own Medicaid, food stamps and other welfare programs in the past," Archambault explains. "It’s also possible that some enrollees were eligible in October 2013, when they applied for the program, but left eligibility before they even received a single benefit in January 2014. Enrollees are required to notify the state if their income changes, but past audits reveal that rarely happens." Lawmakers are frustrated with the Arkansas Department of Health and Human Services' wasteful behavior. "We're trying to hold the DHS accountable for the promises they made," state Sen. Bryan King (R-Green Forest) told Fox News, "and make sure that the people who are on the program actually qualify for it." Arkansas is not alone. Massachusetts, which also expanded Medicaid through ObamaCare, has not redetermined whether program enrollees remain eligible because of glitches that remain in the Commonwealth's ObamaCare website. Other states are likely also skirting the redetermination requirement. Throwing federal dollars at Medicaid does not solve serious concerns about the program's effectiveness or sustainability. Poorly conceived, purportedly "private" alternatives, such as the program in Arkansas, only put taxpayers further at risk. Add in the mix regulators who do not want to do their jobs, and you have a recipe for disaster.